This worksheet will prepare your child for handwriting. 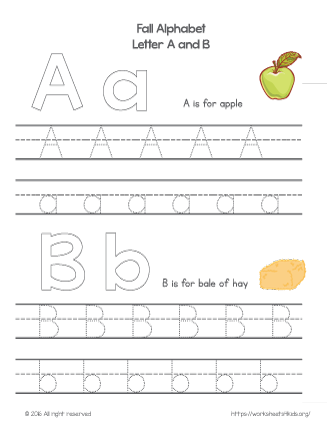 First, learn to trace the uppercase and lowercase letter A and letter B. Then, learn new fall related words that begin with this letter. A - is for apple. B - is for a bale of hay. See in a book: Fall Literacy Pack.